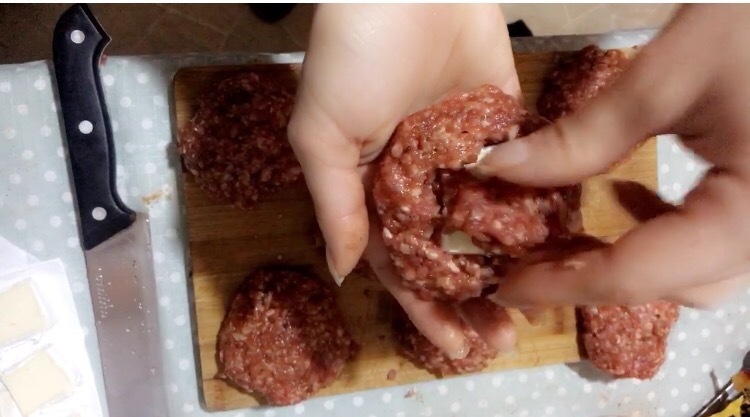 Today is my cheat day so I’m going to use the opportunity to share my favorite cheeseburger recipe! 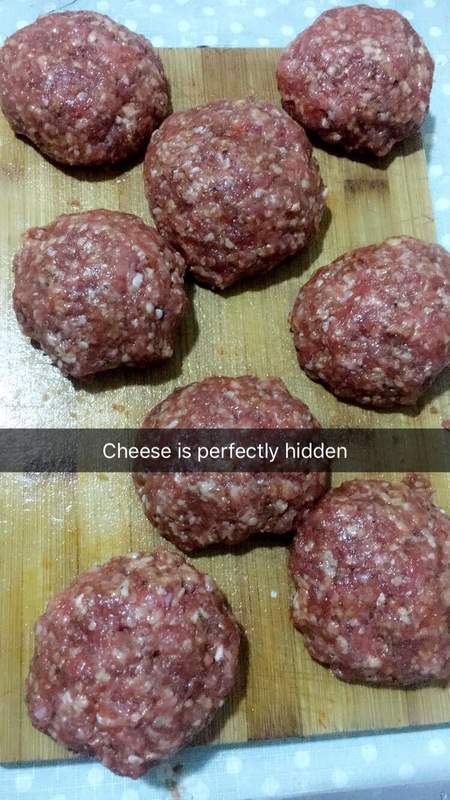 It’s not your traditional cheeseburger so pay attention to the instructions. 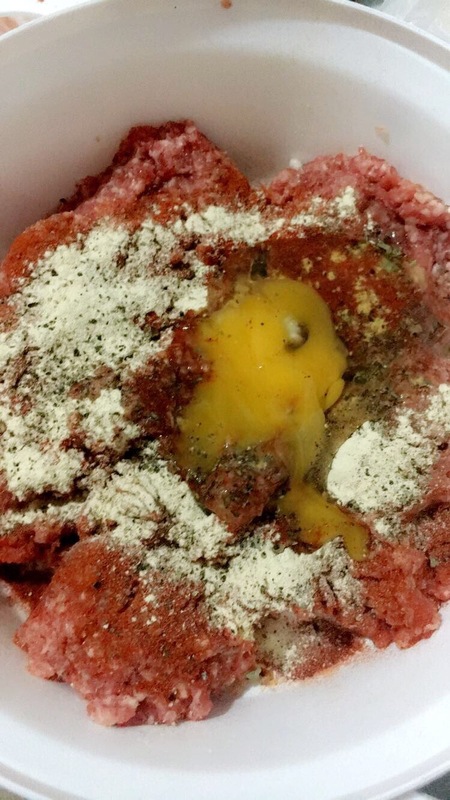 In a large bowl, add the meat, egg and all the spices together and mix well. 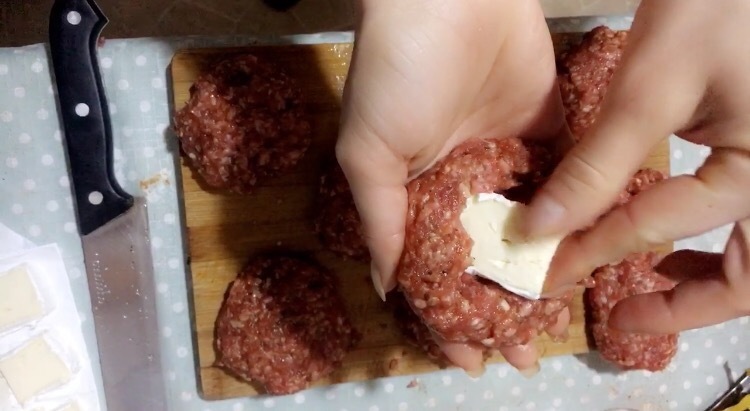 Remove a little bit of meat from the top of the patty and place a chunky slice of Camembert cheese. Be sure the patty remains whole on the bottom (otherwise your cheesy goodness will leak out during cooking)! I’m not going to waste time, explaining how to prepare bacon, so we are skipping this step. I like using the grease from it to prepare the patties tho! 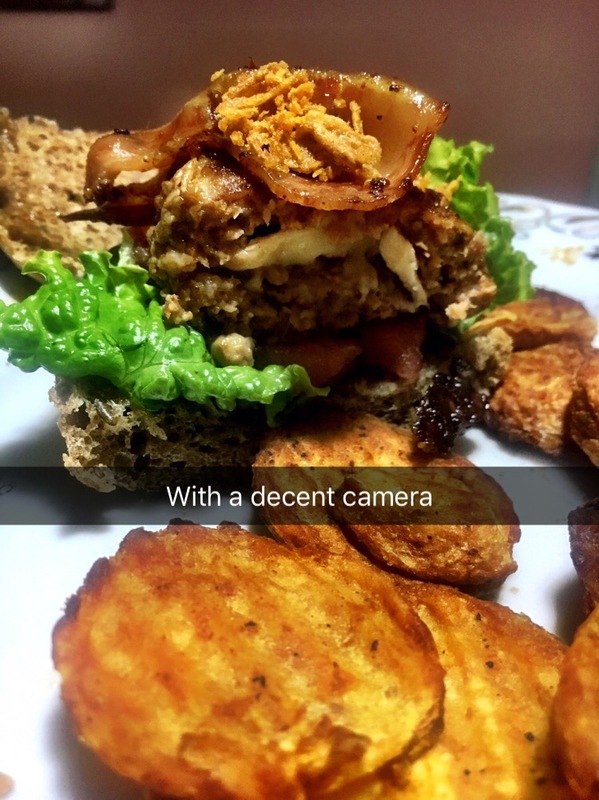 I personally like to arrange my burgers in the following way: lettuce, tomato slice, meat patty, bacon, topped off with Danish style onion. Best burger buns?- toasted whole grain! 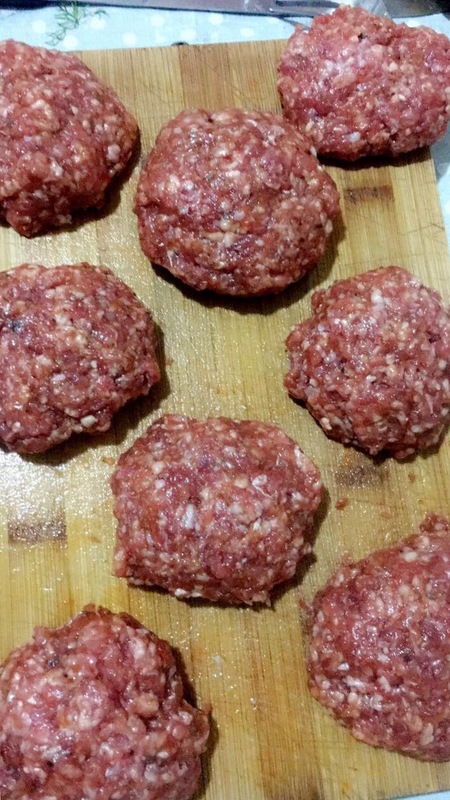 You can use the same recipe without egg or grill instead of frying the patties. 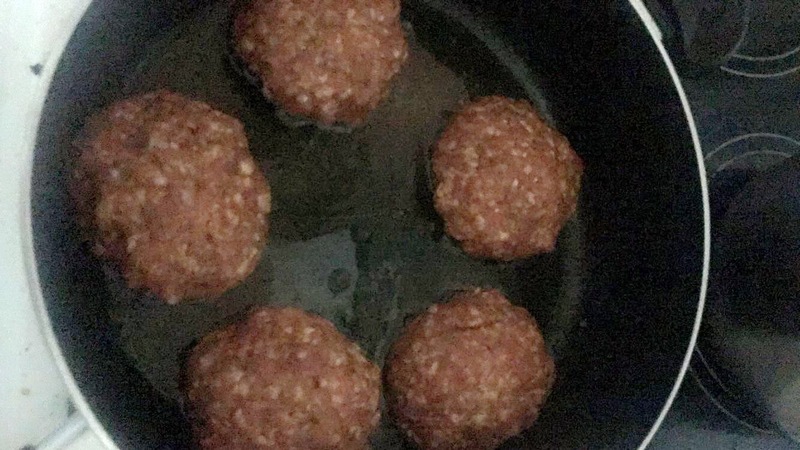 It’s a different style burger that’s not hard to make as you can see. Every bite melts in your mouth and the flavors blend in perfectly! I guarantee you will be the talk of every cookout this summer!